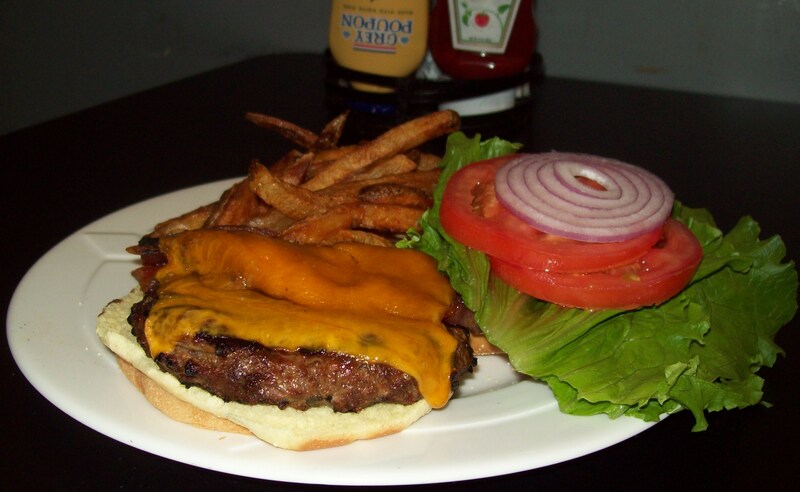 Unbelievable, awesome, a must try – just a few of the terms folks used to describe the gourmet burgers at Rick’s Cafe. And being a burger review board, these are words we cannot ignore. We’ve received several emails and comments taunting us to try them, so, an investigation is warranted! And needless to say, our expectations are high! 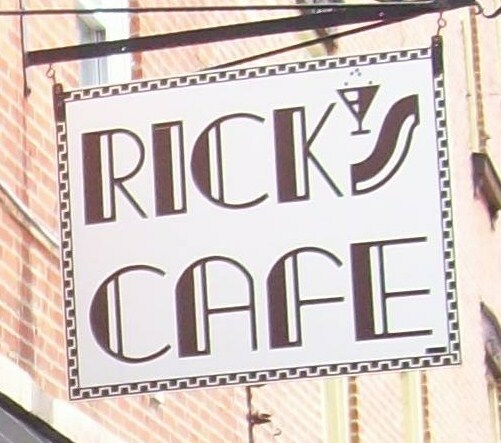 Rick’s is located on Main Street just a minute walk from the falls. The building is easily a century old, but, as with all of the village’s historic Main Street structures, it is well maintained. The french doors across the front of the building look recently added and are a nice touch. There’s curbside parking, but, it’s Chagrin Falls, so, where ever you decide to park, you won’t have far to walk. There’s a nice patio area with several tables on the side of the building and that’s where the cafe entrance is located. Upon entering, a beautiful, retro looking bar, the showpiece of the room, is the first thing you see. 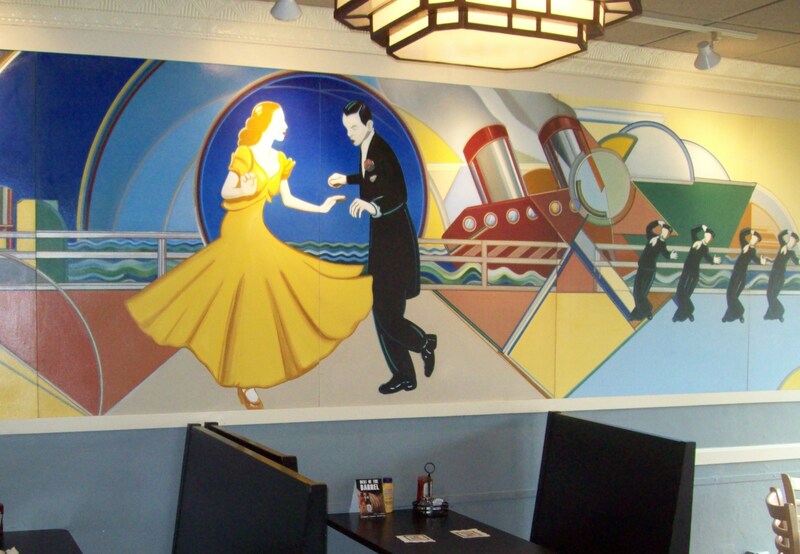 On both sides of the bar, there are beautifully done, hand painted murals depicting, perhaps, a 1920’s ritzy nightclub era. All around the ceiling appears to be the original crown molding which ties in nicely with the decor. 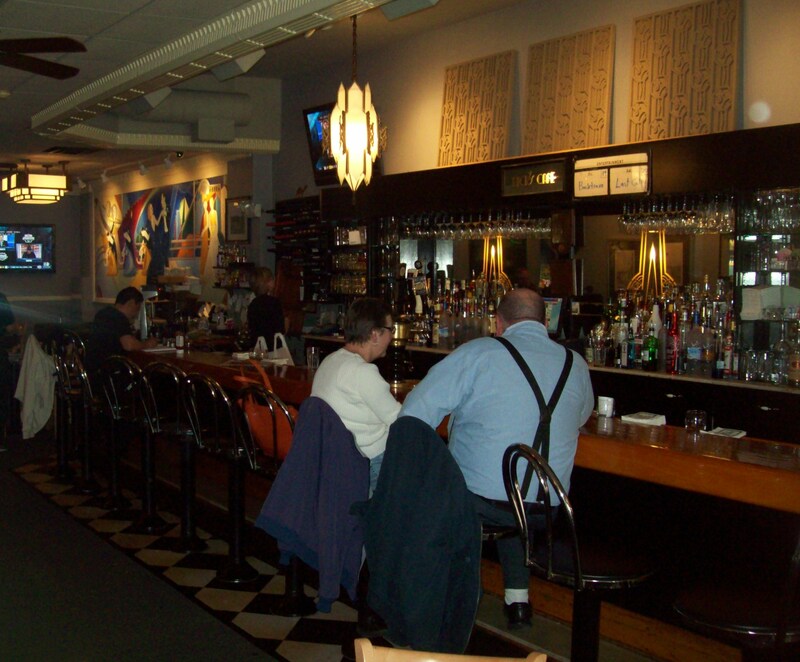 There are also seating areas, booths and tables, on both sides of the bar. We chose to sit near the french doors with a great view of the busy sidewalk and street. Ok, thumbs up for the location, the renovations and the decor. That’s all very nice, but, we’re here for the burgers! How do they rate? We see that the Dinner menu lists 12 burgers, including, if you must have one, (*gulp*), a Bocca Burger, all at $11.25. They also offer a 1/4 lb. version of their burgers for women, children and, I guess, any wimps that can’t handle the half pounders. The Buffalo Burger is $12.25. We think the pricing is a little high, but, the Lunch menu has the same list, and is a little cheaper, and the fries are optional. Some of the burgers with more interesting toppings are; Melted Cheddar Cheese with Apples and Walnuts, the Sour Cream and Mushroom Burger, the Jerk Spiced Burger with Banana “Ketchup.” You can also design your own combination of toppings. All of the dinner burgers are served with a huge side of Rick’s famous fries. Let’s knock out the fries, first. Fresh cut potatoes, skin on, deep fried to a crispy, golden brown – we couldn’t ask for anything more. We understand why they are “Rick’s Famous Fries!” They were delicious and have our unanimous approval. Our group ordered the Cheeseburger, the Sour Cream and Mushroom Burger, the Horseradish, Jalapeno, Cheddar Cheese Sauce burger, and two of us had the Bacon Cheeseburger. We all agreed that the bun, although fresh, was very average. It did have a little trouble holding up on a few of the saucier burgers. Those of us that ordered the lettuce, tomato and onions were not disappointed with the freshness and abundance. The bacon on the bacon cheeseburgers was tasty and thoroughly cooked, not rubbery as we have experienced in some places. We have a split decision on the beef patty. A few of us thought the seasoning was a little much, while the majority had no complaints. Also, two of us noted on our scorecards that the beef was cooked beyond our requested temperature. “Still a juicy, tasty burger,” was one remark. They also make their own Dill sauce and BBQ sauce, both of which I sampled and give my personal stamp of approval. Totaling the scores, Rick’s just missed the 4 star range. We all agree, it’s a decent burger in a great location. 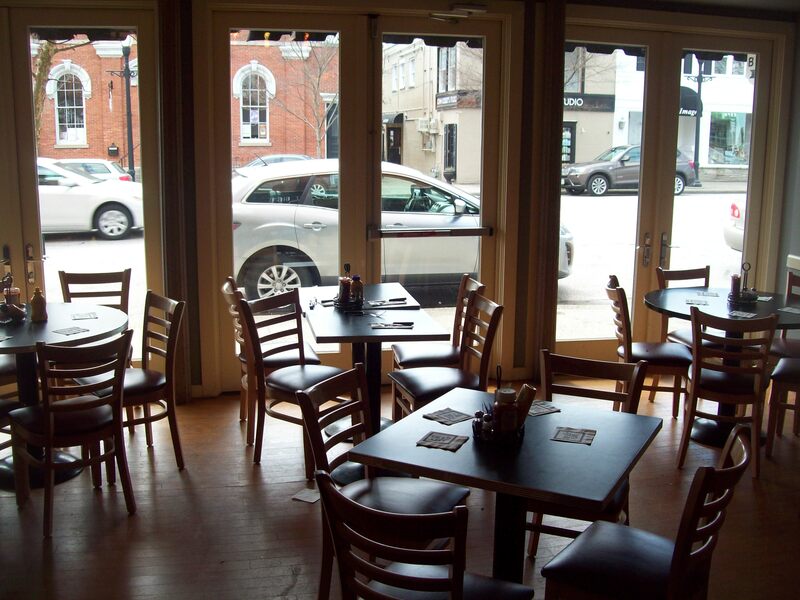 Certainly, worth a stop if you’re in Chagrin Falls and need a lunchtime burger fix! Limited menu served between lunch and dinner.